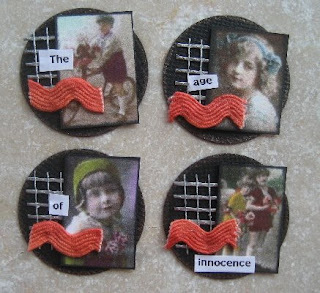 Nikki Z's Studio 13 Designs: Inchie Mania!!!!!! Over at Tally Scrapper, we've been on an "inchie" kick! 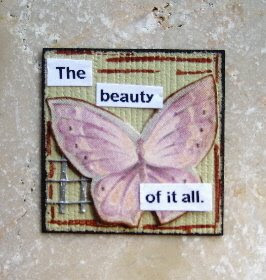 These cute little one inch works of art are sooooooo much fun to do. They're tiny but they pack a big art punch! You can do individual inchies or a series of 2 or more... Check these out and give them a try! I adore all your inchies, Nik!! 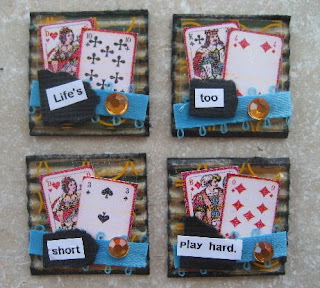 Especially love the set of 4.. life is too short. i love your work so much! i miss looking at it, and chatting with you... i'm sorry i dropped of the face of the earth :) we'll catch up real soon!